Half-Life 3 anticipation briefly subsided as Valve announces brings Counter-Strike back to consoles and PC. Valve's biggest multiplayer franchise is going multiplatform next year with Counter-Strike: Global Offensive hitting Xbox Live Arcade, PlayStation Network, PC and Mac. If you're in attendance during the Penny Arcade Expo 2011 (August 26-28) or the Eurogamer Expo 2011 (September 22-25), you'll be among the first who get a chance to play it. Hidden Path Entertainment is working alongside Valve on Global Offensive, which brings new maps, modes, weapons and characters with classic Counter-Strike favorites, including the inimitable de_dust multiplayer map. This reveal comes some 12 years after the launch of the original game, which is the long-time leader in Steam's most-played games list. CS is the biggest first-person shooter franchise this side of Call of Duty, with more more than 25 million notches on its "copies sold" belt. It should be interesting to see how the past decade of online FPSs affects the direction of CS's objective-oriented multiplayer, or if it'll keep its feet firmly planted in the past while modernizing older ideas. Hey, it worked for Team Fortress 2. 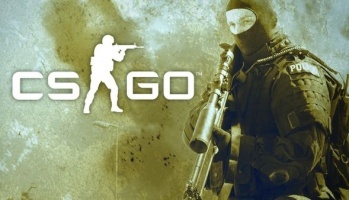 Counter-Strike: Global Offensive is set for an unspecified (come on, it's Valve) "early 2012" release date.